Event Time: 12:00 p.m. - 6:00 p.m. Fish Feel tabled at this first-time, Baltimore event. Event Time: 11:00 a.m. - 5:00 p.m. Fish Feel tabled at this 3rd annual festival. The Big Bay Bash on the Chesapeake Bay is located in the charming town of North Beach, Md. Thanks to the Crochet for the Bay club of Huntington High School for organizing this educational and progressive event. Celebrate vegan lifestyle with food tastings, cooking demos, speakers, live entertainment and more! Whether you are a long-time vegan or just want to see what it's all about, this festival is for you! This is event is FREE and open to the public. This week's $5 Friday pick is the incomparable Fish Feel. Discussing the killing contests that target cownose rays with host Dr. Lori Kirshner. Mary Finelli's Fish Feel spoke on behalf of the fish at this commemoration and celebration of animals. 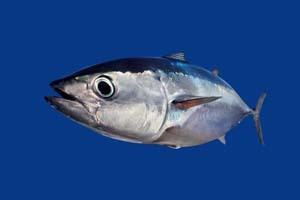 Fish Feel also tabled at this event. If you want to learn about fishes–why we should never eat them and why we should advocate on their behalf, this episode of Kirschner’s Korner Radio will educate and inspire you. Mary Finelli is one of the most informative and persuasive voices for fishes in the world. 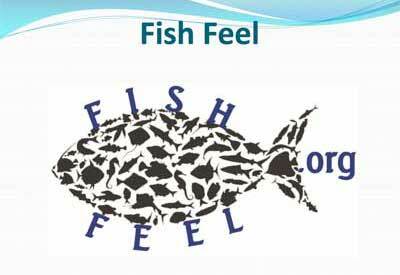 An informative interview with Fish Feel's Mary Finelli. The Animal Rights National Conference is the U.S. animal rights movement's annual national conference. It is also the world's largest and longest-running animal rights gathering, hailing back to 1981. It is the only conference open to all points of view on achieving animal liberation. The National Animal Rights Day is a day dedicated to the animals who are harmed as a result of our daily choices in life. The Humane Society of the United States (HSUS) presents Taking Action for Animals, the premier national conference for animal advocacy. Caryn Hartglass interviewed Fish Feel's Mary Finelli on this Progressive Radio Network program. Fish Feel exhibited at the first Frederick Veg Out. Frederick Veg and their partner, Baltimore Vegan Drinks, hosted this fun event in the Frederick Historic District. It was free to attend and family friendly! Join us in welcoming our panel of experts who will address current fishing practices. Parade line-up position: 9th Avenue & Gansevoort Street. Line-up begins at 11 a.m.; parade launches at 12 Noon, sharp. Host Beth Fiteni will interviewed Fish Feel's Mary Finelli and the Riverhead Foundation's Robert DiGiovanni about aquatic animal issues, on Stony Brook University's WUSB radio: 90.1 FM. Fish Feel's Mary Finelli was pleased to again participate in this free, online event hosted by health educator Laura Christine Sainz. Others interviewed for the Summit included leading health experts, Emmy award-winning chefs, world-class athletes, best-selling authors, celebrity health coaches, prominent animal rights advocates, and others. Bethesda, MD. Fish Feel will have an exhibit at the Vegetarian Society of D.C.'s Life-Affirming Thanksgiving Dinner. Andy Tabar, co-host of The Bearded Vegans, covered a variety of fish-related topics while interviewing Fish Feel's Mary Finelli. Yards Park (N St. SE and First St. SE, Washington, DC) Fish Feel had an exhibit at this popular, free festival which "highlights the many benefits and joys of choosing plant-based foods." The festival featured free food samples, 130 vendors, beer garden, live music, cooking demos, author and celebrity presentations, kids' activities, etc. Free tote bag of samples and coupons were given out to the first 1,000 attendees! Lee Park, Charlottesville, VA. "Fish Don't Belong on Your Dish" is the title of the presentation that Fish Feel's Mary Finelli gave at this 19th annual event. Also featured was "music and entertainment from local artists, cooking demonstrations and information sessions, and of course, some of the region's best vegetarian and vegan food from local food trucks and restaurants.” Fish Feel also exhibited there. Baltimore, MD. Fish Feel had an exhibit at this 2nd annual event featuring delicious food, speakers, cooking demos, vendors, and exhibitors with "all the information you need about health, social justice, and animal rights." Fish Feel’s Mary Finelli was a guest on the radio program hosted by Carrie P. Freeman, PhD, Associate Professor of Communication, Georgia State University. Listen to the show on www.wrfg.org or on 89.3FM (metro-Atlanta). Hoopes Park/Farley Field, West Chester, Pennsylvania 19801 Fish Feel had an exhibit at this celebration of veganism, hosted by Compassion for Animals Respect for the Environment (CARE). Alexandria Mark Center hotel, Alexandria, VA. Fish Feel’s Mary Finelli was a featured speaker at the Animal Rights National Conference. Fish Feel also had an exhibit at "the world's largest and longest-running animal rights gathering." The event included: 100 sessions on animal advocacy, organizing, tactics, and issues; 90 free exhibits; video premieres; an awards banquet; and protests & lobbying. 9th Ave at Gansevoort St. to Union Square Park (north plaza). Fish Feel’s Mary Finelli spoke at the 8th annual Veggie Pride Parade in New York City. Fish Feel also had an exhibit at this fun-filled event which begins with the parade and culminates in a festival including free vegan food, a costume contest, music, speakers, exhibitors, and more. Jesup Blair Park, Silver Spring, MD. Fish Feel exhibited at this premiere event, which featured national and local experts, film entries of the Environmental Film Festival, music, a kids’ area, and nearly 80 other exhibitors. Greenbelt, MD. Reel & Meal monthly film and (vegan) dinner series featured Sea the Truth: http://www.seathetruth.nl/en with Fish Feel’s Mary Finelli leading the discussion afterwards. A vegan seafood meal was served, and later Gardein fish filets were sampled. “What about Fish?” is the name of the presentation that Fish Feel’s Mary Finelli gave at the country’s longest running event of its kind. Fish Feel also exhibited there during these “two full days of fun, good food, and learning!” The festival included free food sampling, cooking demos (including New England Fish-Free Chowder!) by noted chefs, registered dietitian consultants, children's activities, and lots more. Fish Feel’s Mary Finelli was a featured speaker at “Virginia's Premier Vegetarian Festival,” which attracted some 6,000 attendees. The event included exhibitors, food vendors, speakers, cooking demos, live music and activities for kids. Hosted by Compassion Over Killing, this annual festival featured more than 100 vendors, free food samples, a beer garden, live music, presentations and cooking demos, and a kids’ activity area. Free goodie bags were also distributed to the first 1,000 attendees! Fish Feel tabled at this annual event, which featured guest speakers Harold Brown (Farm Kind) and Liqin Cao (United Poultry Concerns). “Prizes, a book sale, green products and exhibits, live music! A refreshing, joyful day for the whole family.” A modest entrance fee covered “outstanding” vegan food. Sponsored by CARE (Compassion for Animals • Respect for the Environment). Fish Feel had an exhibit at this “premier national conference for animal advocacy,” presented by the Humane Society of the U.S. The 2014 Summit for the Animals, held in conjunction with the conference and organized by the National Council for Animal Protection, was also attended. The National Council for Animal Protection (NCAP), which was founded in 1985, works to help its many member organizations achieve their individual and collective goals to improve the treatment and status of all animals. This festival will showcase a Food Fight! cooking competition, a juggler-magician, music and speakers. As in the past 3 years, the event will start with a requiem ceremony to commemorate the billions of animals who died by human hands in this country, in the past year. This will be a very powerful and important part of the event, so you won't want to miss it! Free, outdoor festival which features speakers, cooking demos, food vendors and free food samples, a nutrition tent, a kids activity tent, a yoga village, and dozens of other exhibitors. Related events round-out the weekend. We are committed to sharing the many benefits – to our health, to our planet, and to the animals – derived from a plant based diet. Fish Feel’s Mary Finelli spoke at the New York City observation of the “annual day to commemorate the plight of animals in the US, and bring about their equal rights and freedom.” Fish Feel also had an exhibit at the June 8th event which “started with a requiem ceremony for the billions of animal who died by human hands in this country, in the past year. After the ceremony, there [were] many educational activities to showcase and celebrate the future we are all working towards: an animal cruelty-free nation!” Observances were also held in San Francisco and Los Angeles. Fish Feel’s exhibit at the Baltimore Vegfest was a productive one. We spoke with vegans, vegetarians, pescatarians, omnivores, and a couple of “avid” fishermen. We handed out lots of literature, and many interested individuals signed our mailing list. The beautiful weather helped get the festival season off to a great start!